Barry has been an active power boat enthusiast living on the Big Rideau Lake since 1993. Throughout this period he has had numerous runabouts, fishing boats, centre consoles, bow riders, pontoon boats, cuddy cabins, express cruisers and an aft cabin motor yacht. Barry has had an extremely diversified career. After leaving school he spent 13 years with the RCAF in the Police/Security/Intelligence fields. He then moved on to the Department of Foreign Affairs as a Senior Regional Security Office, responsible for Security, Personal Safety, Physical Security and Intelligence at our Embassies abroad, Western Europe (1980 to 1984) and Eastern Europe and the Middle Eastern Countries (1984 to 1987). After leaving Foreign Affairs he established Weaymouth & Associates Inc., a Security and Personal Safety Consulting Firm, conducting Planning, Design, Engineering, Bid Award Assistance and Contract Management of Operational, Electronic and Physical Security Systems for Heads of State, private residential, corporate and government departments and facilities in Canada, the USA and abroad. Barry ran this very successful consulting firm for 25 years. After retiring Barry continued in the marketing and sales environment by setting up Elgin Equipment Rentals/Elgin Storage Facility/Elgin Garden and Propane Centres. In 2014 Barry continued to expand his knowledge of boats and sales of marine products by joining Pirate Cove Marina as a sales person for new, used and brokerage boats. During his tenure with Pirate Cove Marina he became the Company’s Top Sales Producer enabling the firm to have their best two consecutive years in sales of new, used and brokerage boats for the firm. Barry joined North South Yacht Sales as a Yacht Broker in the spring of 2016. He is based in Eastern Ontario (Lake Ontario, Kingston and St Lawrence region, the Rideau Lake and Canal System, the St Lawrence Corridor, the Trent Water-way System and beyond). 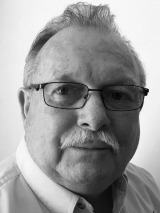 Barry brings with him an extensive knowledge of marine products and a proven record of sales and marketing. Barry’s interpersonal relationship skills have allowed him to work closely with clientele on an ongoing and repeat basis. His dedication and attention to detail will permit him to assist you in finding a yacht that will fit your needs.